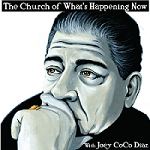 Home3 of the Best Joey Diaz Podcast Appearances! Why should I listen? Joey kills it in this hilarious episode of the Ice House Chronicles, a podcast broadcast from the back room of the Ice House comedy club in California. featuring some of the biggest names connected with the Deathsquad podcasting scene. An all-time great episode! Why should I listen? Joey does what Joey does best, with notorious pothead comedian Doug Benson. Joey and Doug talk about Joey’s first time smoking weed, doing standup comedy, Doug’s other podcast Doug Loves Movies, smoking in public, Colorado weed, a movie Joey was in called Grudge Match and more, whilst consuming many, many grams of cannabis. Why should I listen? Another great podcast episode from the back room of the Ice House comedy club. Another stacked lineup of guests on this episode. The first time Joey is recorded, telling his legendary Lucy Snorebush story. Length? Part 1 – 2 hrs 58, part 2 (Doesn’t feature Joey!) – 1 hr 13. Audio – Part 1 – POW! Part 2 – POW! ← Check Out These 3 Great Bryan Callen Show Episodes!